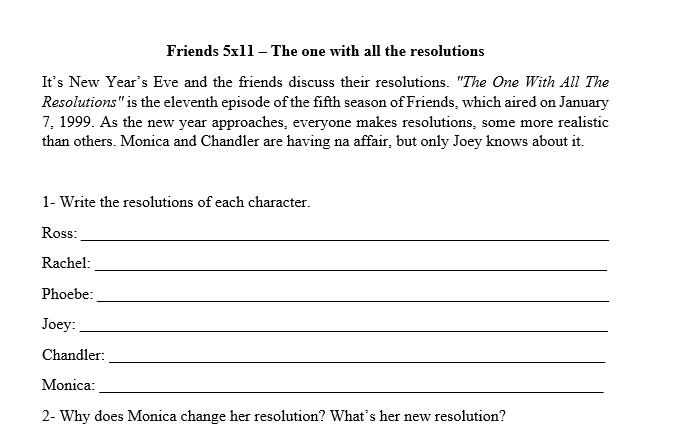 This is a worksheet based on the famous tv series Friends. It's an activity that can be usedo with intermediate students or higher. This episode is about New Year's Eve resolutions. 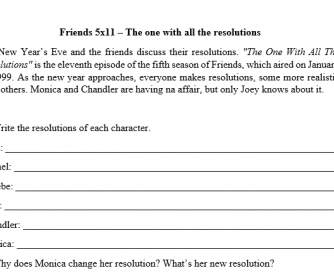 It's funny and teacher can work also with the idea of each student creating his/her own resolutions.